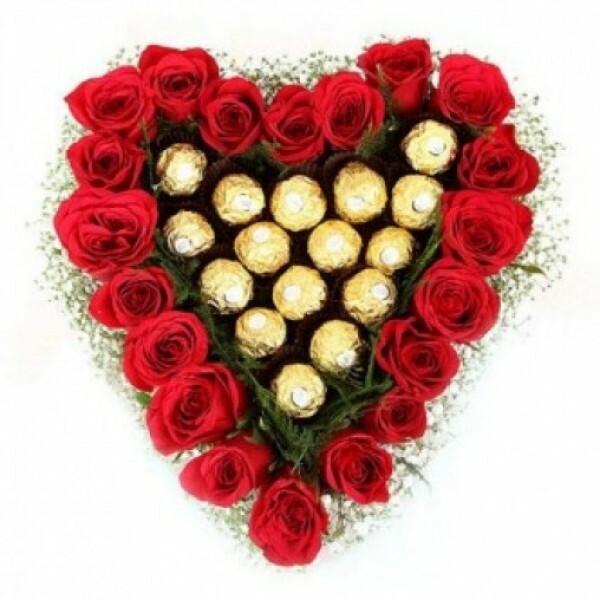 Everyone loves flowers and chocolates. 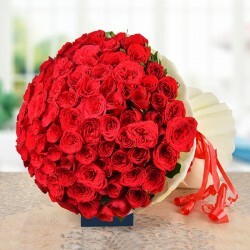 So, surprise them with this double delight bouquet that is a gorgeous Heart-shaped combo of 20 Red Roses and 16 Pcs Ferrero Rocher Chocolates. Make them feel loved!